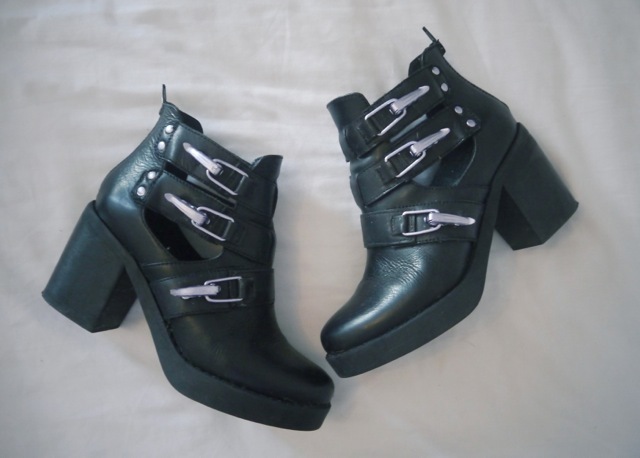 I've wanted a pair of cutout boots for ages now, but being as small as I am, I didn't like any of the ones that were too flat and clunky because they made me look like some sort of clown/lesbian/short person/lady with disproportionally-large-feet-syndrome. 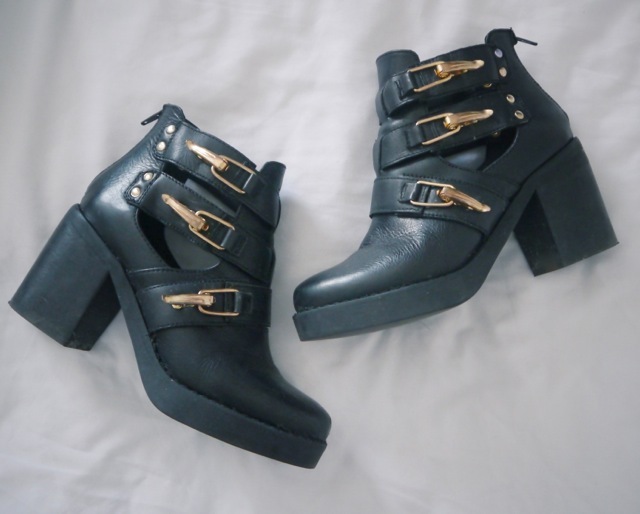 Soo when I saw the Topshop Aubrey boots with their 3 inch chunky heel and grungey cut-out detailing it was love at first sight, with just one problem...they had gold hardwear (dun dun duuuuunn). Those of you who know me will know that I do not like gold, I don't wear gold jewellery, gold accessories or anything with the faintest bit of gold detailing whatsoever...I just don't like it, I'm a cool-toned gal at heart ya see. So, stupidly, I gave these bad boys a miss when I tried them on in Nottingham a couple of months back; I thought the issue of the dreaded gold buckles was a deal-breaker in our seemingly doomed relationship. As soon as I got in the car to go home I knew I should've bought them, and thus began the long and difficult task of tracking a pair down - all of a sudden they were sold out everywhere, and I mean everywhere! I was watching a pair on eBay that ended up selling for over £100 when the retail was only £75!! (I think anyway) By this point I had pretty much given up hope, until another pair popped up on eBay and in the last couple of hours had 17 watchers and a bid of £36, I couldn't resist and went for it. 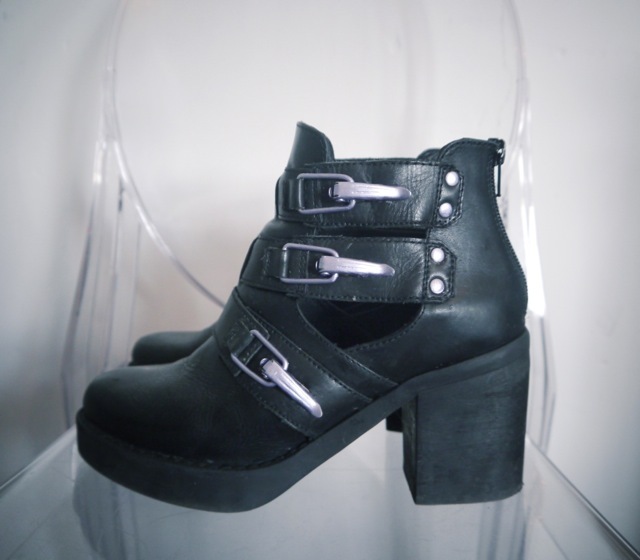 By some sort of miracle these boots were mine for £40!! However, there was still the issue of the gold buckles...I have to admit, I took a bit of a gamble here but I'm so happy with the results! 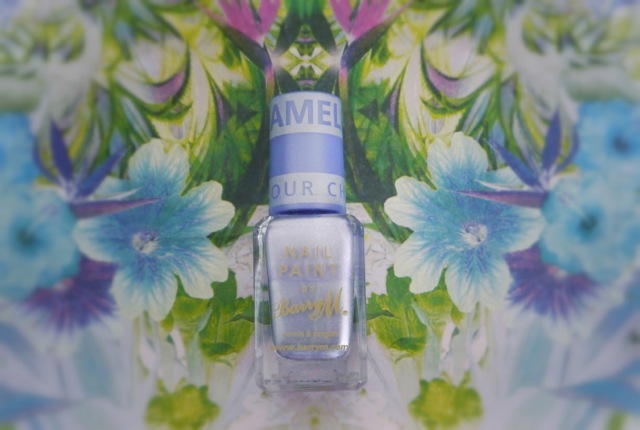 All I did was paint all of the visible gold hardwear with my silvery-lilac nail polish, it didn't take too long and I am in love with the purple tint to the colour! I now wear these constantly and have been getting slightly too excited about all the cute glittery/lacey/netty socks I have bought to wear with them! Oh my god that is such a good idea! It looks so good too!! Love the DIY and the boots are amazing! This is such a good idea!!! I'm the same with not wanting to wear gold and was put off by a few similar boots because of this, but I might re consider now!